Dumfries and Galloway Mountain Biking Holidays: Homeward Bound! Today, I’m mostly thinking about holidays… And mountain biking holidays in Scotland at that. Just back from the previous trip (mountain biking in Whistler, Canada) and already I’m day-dreaming about the next one. This time it’s a home leg, specifically Dumfries and Galloway in the South West of Scotland. It’s slightly weird calling it a holiday as it’s pretty much where I’m from. My folks still live down around that part of Scotland and I suffered through the latter part of my school career in the quaint (read: dull) town of Dumfries. 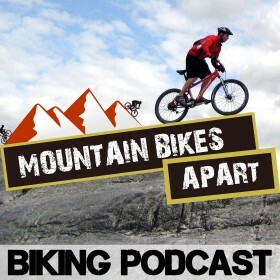 So, going on holiday to your home region probably isn’t very normal for the majority of folk, but somehow the dull-as-dishwater home of my childhood has become something of a mountain biking mecca in recent years. Thanks to an uncharacteristicly generous and well placed (well, it can’t all go to expenses I suppose) funding allocation by the Scottish government, and a subsequent shed-load of development by the forestry commission the wooded areas of Dumfries and Galloway are as likely to echo with the whoops and yells of mountain bikers as they are to emenate the hoots and chirps of birdlife these days. McMoab at Kirroughtree, Scotland’s mountain biking hardrock. Dumfries itself, a medium sized town as far as Scotland goes, is surrounded by 3 top-class trails, 2 within 10 minutes drive and the third not much further away. Ae forest huddles the north of the town, containing an epic ride of tough, rocky climbs and screaming, vibrating descents. The final section of Ae – named the Ae line after Whistler’s famous route – is immense, offering plenty of Ae for air, and drops, rocks and hops abound. Ae even has a UCI level downhill track right next to the car park, for those with more of a penchant for going along with gravity rather than defying it. Next, Mabie forest flanks the town, offering a much more sedate, natural cross country style of ride. There’s not a great deal of up and down here – more a day of cranking along, enjoying the flowing trail and the great setting. Saying that, there’s the Kona darkside at Mabie – a crazily technical north shore which will challenge any rider. And last, but certainly not least – Dalbeattie, home of the hard rock. Dalbeattie is one of my favourite trails in Scotland, never mind Dumfries and Galloway. Fast and varied. Rocky, barren outcrops mixed with cool, tranquil forests, all with ripping singletrack snaking right the way through. Risk your hide on The Slab, a 10 metre high, 60 degree steep human cheesegrater. Get over the ridiculous entry to the line and you’re away, and also a more skilled rider than I! 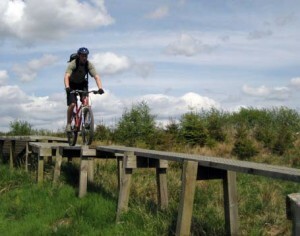 Have a look here for more information on Dalbeattie mountain biking. Kirroughtree – arguably, and often argued, the best trail in the country. Nothing flows like Kirroughtree, and McMoab is simply unmissable. Check out my article on Kirroughtree – Scottish mountain biking at it’s best. NewCastleton – Perhaps more the borders than Dumfries and Galloway, but certainly close enough to hit on a Dumfries and Galloway holiday. A short trail, but sweet, and hosting one of the best north shore play parks in the country. Here’s my article on Newcastleton, Scotland’s north shore nirvana. Glentrool – Now here’s one I’ve not visited, but that’s because it’s a reknowned beginners trail. No-one can argue that Dumfries and Galloway doesn’t offer it all! I’ve got a long weekend, perhaps 3 nights – how on earth do I fit it all in in that time! I’m just at the accomodation booking stage at the moment, but Lynn at Birchlea Lodge may well be sorting me out for that, otherwise I might well just get on the free ads on Gumtree to find a place to stay. I’m homeward bound, and attempting to tackle 5 trails in 3 short days. I’ll let you know how it goes!